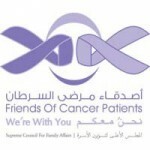 Her Highness Sheikha Manal bint Mohammed bin Rashid Al Maktoum, President of Dubai Women Establishment, wife of His Highness Sheikh Mansour bin Zayed Al Nahyan, Deputy Prime Minister and Minister of Presidential Affairs, UAE, recently extended her royal patronage to a Charity Bazaar event organised by Friends of Cancer Patients (FOCP). 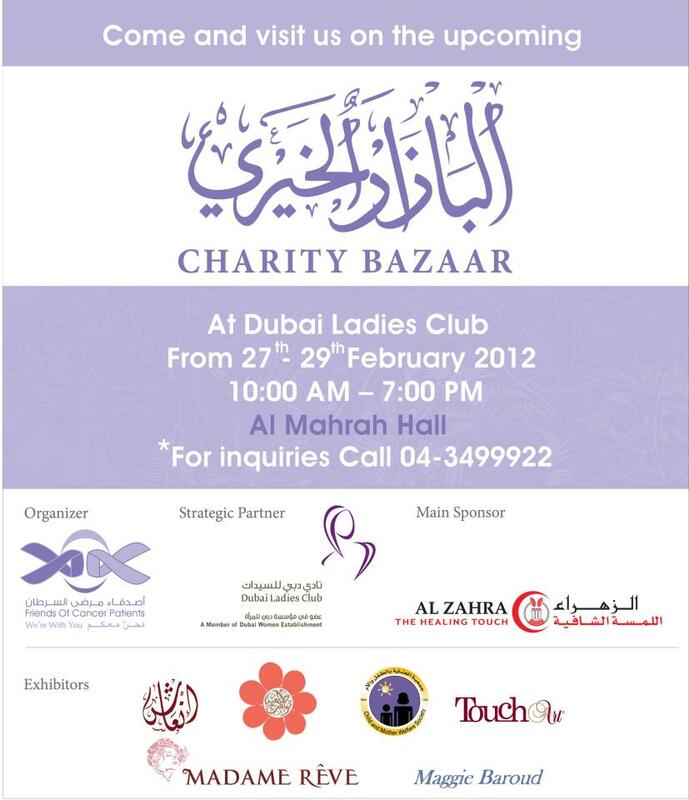 The Charity Bazaar will run from Monday 27th, February 2012 until Wednesday, 29th February, 2012 at Dubai Ladies Club, a member of Dubai Women Establishment. The bazaar will be open to ladies and gentlemen from 10am until 9pm daily; entry is complimentary to all guests. 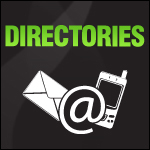 This year’s participating vendors are well known charities from Lebanon, who will be showcasing a unique of handmade products. All of them were established and endorsed by elite members of the Lebanese Female Community and play a huge role in empowering and supporting women, widows, children and families by making them productive members of society through teaching them arts and crafts to support themselves. Each charity will contribute 20 percent of the bazaar sales to support FOCP.